There are few things in life that you get a second chance at and love is one of those things. Bill and Maureen are two people who have a little more luck on their side. They were married this past Saturday at St Mary’s Church in North Houston surrounded by family and friends. 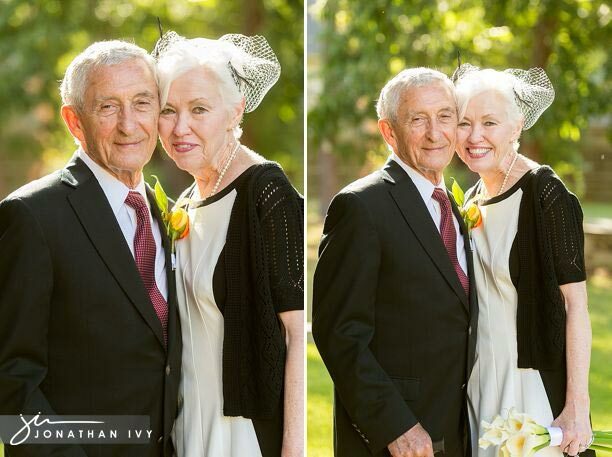 I pray that we are half as cute as these two are when we are 65 and 74 yrs old! Her birdcage veil was custom made by a friend.